!! 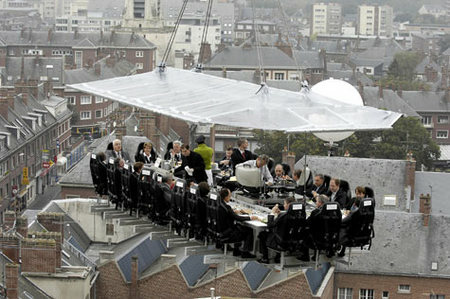 OMG, how impractical: Dinner in the sky !! It looks impressive, but what if you drop your knife? Or have to go to the bathroom? Or don’t like who you’re sitting beside? Check after the jump to see the full setup or look at THEIR SLIDESHOW to see the accompanying lounge-singer in the sky. 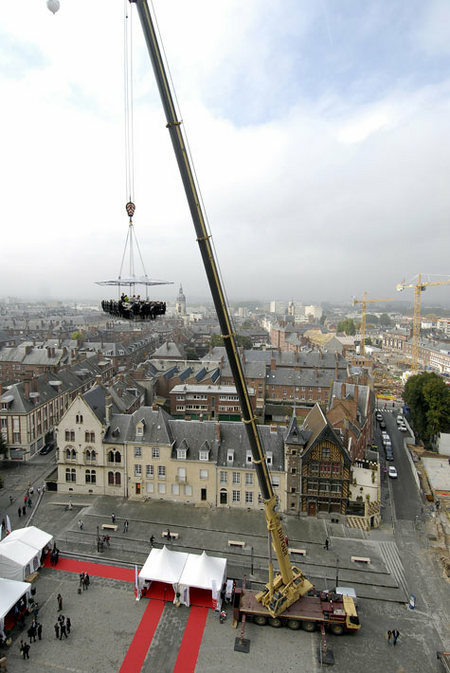 Be the first to comment on "OMG, how impractical: Dinner in the sky"